Despite a high demand for workers and attractive wages, few Americans sign up to do the grueling work at the JBS USA meatpacking plant in deep-red Cactus. There are Burmese meat cutters a few years removed from refugee camps in Thailand and Malaysia. “Chuckers” from Sudan, tall and strong, who specialize in separating the spinal cord from a side of beef swinging on a moving chain. Somalis who showed up in such numbers that Moore County at one point had the fifth-highest per capita Muslim population in the United States, according to religion survey data, though many of those workers have moved to join a larger community of their compatriots in Minnesota. A decade after Operation Wagon Train, the Trump administration says it is preparing to crack down on employers who hire illegal workers and may revive enforcement tactics such as big roundups, which fell out of favor under President Barack Obama. But President Trump’s plans to intervene in the U.S. labor market are more ambitious than that. In deep-red Moore County, where Trump won 75 percent of the vote, the president’s rhetoric on immigration has emboldened some of his supporters to freely vent their frustrations at the meatpacking plant they blame for bringing crime, drugs and civic decline. Their corner of northern Texas has been culturally and economically transformed, and they had never had an American president say the transformation was a bad thing. “Cactus wouldn’t exist without the plant,” said the city manager, Aldo Gallegos, who grew up in the town after his parents moved from Arizona in 1992 to work for Swift. He estimates that about half of all floor workers are refugees and that half are Latino, mostly immigrants. Cactus is not always a melting pot of meatpacking harmony. Workers of different ethnicities and languages struggle to communicate, and sometimes they clash. Turnover among new hires is high. The town’s streets are a jumble of windblown garbage and battered trailers, each one appendaged with dusty vehicles parked at odd angles, like fingers from a hand. But there is relative prosperity here, too, especially in nearby Dumas, 13 miles south and a comfortable distance from the foul odors wafting around the plant. Busy fast-food restaurants line Dumas’s main drag, anchored by the only Walmart for miles. Vast feedlots surround the plant, funneling as many as 5,000 cattle a day toward the “kill floor,” where workers with bolt guns begin the butchering. Temperatures there sometimes exceed 90 degrees. The production floor is a giant meat locker kept just above freezing. Cutters slice off fat and hack at gristle with razor-sharp knives that occasionally flay hands and fingers, too. The floors grow slick with blood and beef fat throughout the day, until crews of Central Americans in full-body suits ­arrive at 11 p.m., working through the night to blast away the gore with high-pressure hoses and chemicals. “We don’t really see American people in these jobs,” said Lian Sian Piang, 34, a meat quality inspector and ethnic Chin who ran away from conscription in the Burmese army as a teenager, living for years in a Malaysian refugee camp. During his 10 years at the Cactus plant, he said, he has seen only “two or three white guys” cutting meat. A Valero oil refinery is Moore County’s other big employer, and its workers are mostly U.S.-born. Jobs there require significantly more skills, and fluent English. Asked what it would take for more local workers to take jobs in meatpacking, many here say JBS would have to pay as much as the refinery, where wages are $30 an hour or more. The U.S. meatpacking industry was in a labor squeeze before these measures, having opened new plants in recent years to keep pace with soaring export demands and annual U.S. sales approaching $100 billion. Many of the industry’s processing plants are located in remote, ­rural areas of Midwestern states where employers in nearly every industry are struggling to find qualified workers, especially job candidates who will not test “hot” for drugs. Because refugees have a ­reputation for lower levels of drug use, they remain attractive job recruits. The changing composition of the workforce in Cactus mirrors modern immigration to the United States. The Vietnamese and Laotian refugees who came to the plant were followed by a flood of Mexican workers, many of whom entered the county illegally, in the 1980s. Then came Central Americans, mostly from Guatemala, in the 1990s. Such offenses were no longer viewed lightly in the post-9/11 era. 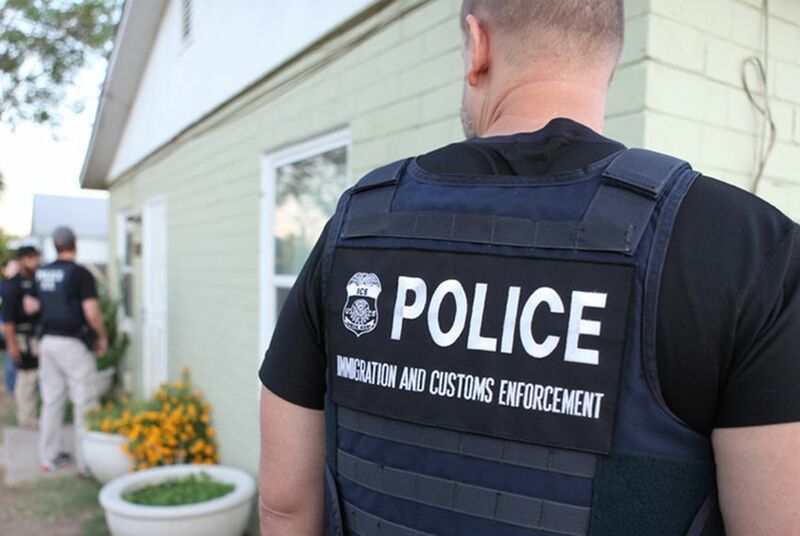 During President George W. Bush’s second term, ICE raided packing plants across the Midwest in a campaign culminating in Operation Wagon Train. Loya, the former plant worker, who now teaches English to refugees, remembers driving to the local elementary school that day, after schoolteachers called in a panic. There were children waiting to be picked up, but many of their parents were on buses heading to ICE detention centers. “Cactus used to be a nice community,” said Paula Gibson, whose family came to Moore County in the late 19th century, a generation after the U.S. Army defeated the Comanche and other horse-mounted Plains tribes who fought the white settlers. Gibson and her husband, Lee, returned to Moore County in the late 1970s after studying at West Texas A&M University, and over the years they integrated their family farm and ranch into the global economy. They raise cattle, grow corn and run a ­successful manure composting business using techniques Lee picked up as a graduate student. But they say that something in Moore County has been lost and that the meatpacking plant has changed their corner of Texas for the worse. Thieves broke into the Gibsons’ ranch house last month, stealing a gun and more than $100,000 in family jewelry, including the wedding ring of Paula Gibson’s grandmother. The Gibsons do not blame immigrants or refugees, but the plant and the churn of its workforce have made Moore County a transient place of distant strangers. The Gibsons’ adult sons, Braden and Brett, help run the farm and ranch today, and like JBS, the family struggles to attract and retain American workers. Last summer, they hired three South Africans on temporary guest-worker visas. “We’d do it again,” Lee Gibson said. Braden Gibson, 36, worries that his son will get less attention at school because the teachers have to spend so much time on the basics. “They are under pressure to get the kids to learn English and pass the tests to secure their funding,” he said. The Gibson family thinks Moore County would probably be better off without the plant, even if it meant having to sell their cattle elsewhere. But they have no expectation that the forces of globalization can be so easily bent. With the arrival of so many refugees to work for JBS, an area that used to have two cultures and languages — Spanish and English — suddenly had 20. The school principal gathered immigrant parents at one point to explain how to use American bathrooms. But the growing pains eased as the refugees settled in, Rhoades said. Then Trump came along, and those who were not okay with the immigrants were a lot less shy about saying as much. When ­Piang, the ethnic Chin, took his car to a local auto body shop last year, the owner screamed at him to go back to Burma, even though he had become a U.S. citizen in 2014. Piang said he drove away and shrugged it off. “I know most Americans are good people,” he said. Moore County has come a long way since the first refugees arrived, when Stan Corbin got a call from his church. Corbin helped them pay utility bills and taxes, get driver’s licenses and apply for citizenship, carrying lists of their names, birth dates and Social Security numbers, in case they lost them. “I took them to the doctor, hospitals — they didn’t know how to do anything,” said Corbin, 80, who said he spent so much time with refugees he became estranged from his own son. “My father was always gone when we lived in the camps, working in the rice fields,” said Gay Ku Paw, 20, a nursing student. In the refugee camp, the family lived in a shack with no running water or electricity, she said, and remained in darkness when they could not afford candles and lamp oil. Her mother, Lah Eh, 50, chops tail meat with a large knife at JBS, and her father, Ter Htoo, 53, operates huge mechanical shears that clip off cows’ hoofs. “It’s a good job,” said Htoo, who prefers sitting on floor to the couch in his living room. It was below freezing outside, but like other Karen, he preferred going barefoot on the carpet. He served cups of jasmine tea from a giant thermos. Four cars sat in the family’s driveway. “In America, no one tries to take away your property,” Htoo said. The only thing he does not like, he said, is when there are not enough workers at the plant and the chain moves too fast.